Despite moving into our flat a year ago, we still have a distinct lack of anything on the walls. 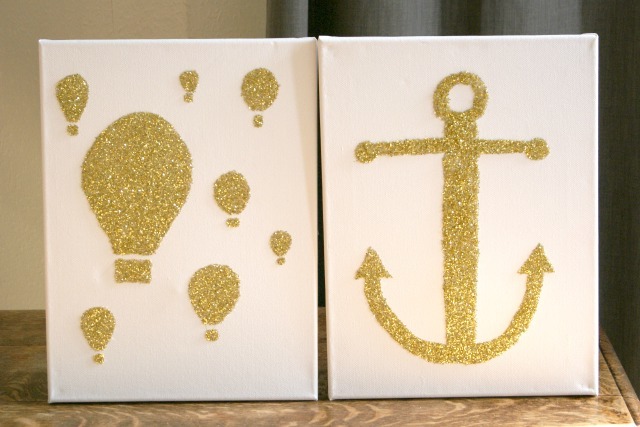 My normal oracle (pinterest) had loads of ideas, including a lot of simple glittery wall art. Here’s my version. Two paint brushes – one fine and one slightly larger, depending on the shapes you’re drawing. 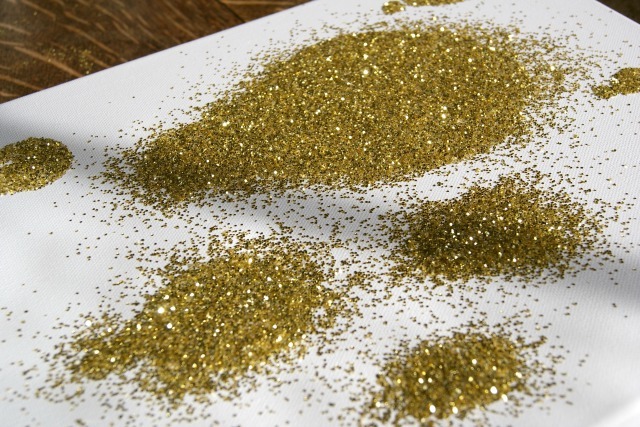 I also had a third softer brush for dusting away rogue pieces of glitter. Sealant spray. Or hairspray if you forget to buy sealant spray and are too impatient to wait until you have some. I can confirm that hairspray works perfectly well. 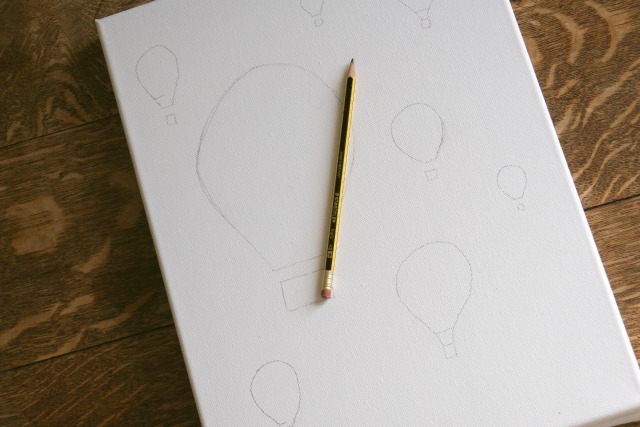 Draw out whatever design you’d like on your canvas. You don’t need to be too precious because you’ll be glittering all over it in a minute so just make sure you get the shapes and proportions right more than anything. I originally tried a much more complicated design but as you can’t pick out all that much detail in glitter, I realised simple is much better. 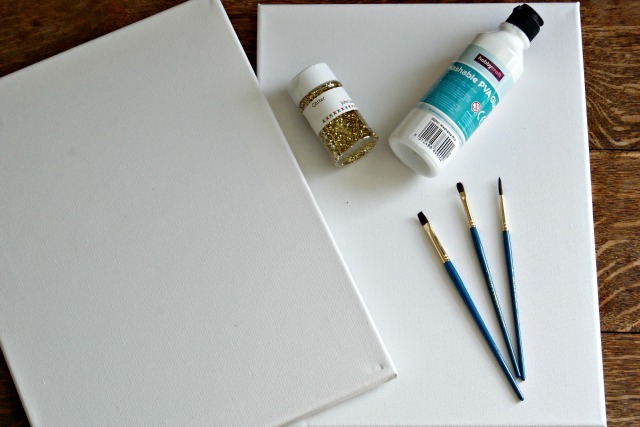 Use your finer paint brush to paint glue around the edges of your sketches and then fill in any larger shapes with the bigger brush. I like to do this in stages because I get all paranoid that the glue will lose all its stickiness, but you could probably paint most of your shapes in one go if you fancy yourself as pretty nifty with a paintbrush. 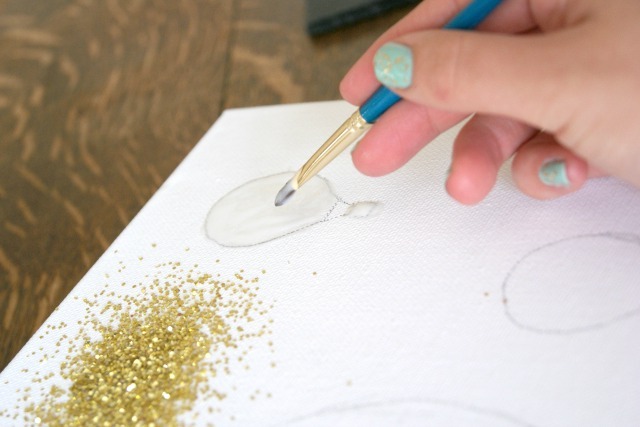 Best part – generously sprinkle glitter all over your glue covered drawings until you have an even layer on it. Leave it for about thirty minutes to get good and settled on there. 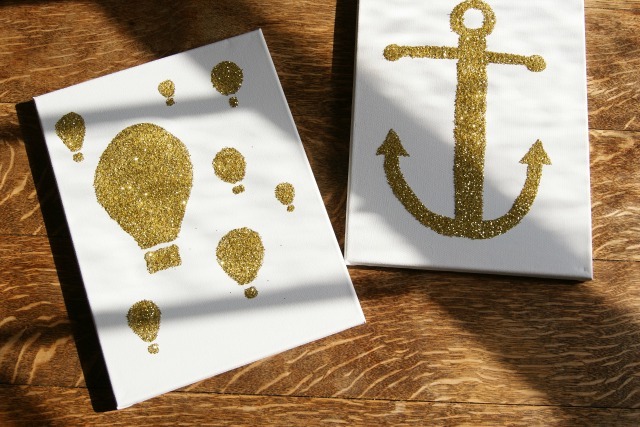 After you have shaken the excess glitter from your print, your shiny new wall art will be revealed. Once you’ve tidied up any rogue edges, give it a quick spray with sealant (or hairspray) and you’re done.